Fr. Porter was born October 11, 1967 to Clara Womack Porter, a teacher, and Fulton Porter Jr., a mortician, in Jackson, Mississippi. He was baptized and confirmed in the Roman Catholic Church and attended the Catholic schools of the city. At an early age he sensed a call to the priesthood, encouraged by his devoutly Roman Catholic great-grandparents as well as priests and other religious at his parochial school. He also had a love of science, which sparked his ever-growing interest in medicine. His mother, Clara, joined St. Mark’s Episcopal Church in Jackson and the young Fulton decided to follow her. From the moment he set foot in the church he knew he was home. Fr. Porter graduated from St. Joseph High School and went on to earn a Bachelor of Science degree in biology from Morehouse College in 1989, where he was influenced greatly during mandatory weekly chapel by some of the greatest African-American preachers and orators in the country. He then went on to earn the Doctor of Medicine degree from Northwestern University in 1993 on scholarship from the U.S. Army. He completed residency training in Internal Medicine at Brooke Army Medical Center at Fort Sam Houston, Texas. He has served at bases in Georgia, South Carolina and Kuwait and was honorably discharged from the U.S. Army having achieved the rank of Major. 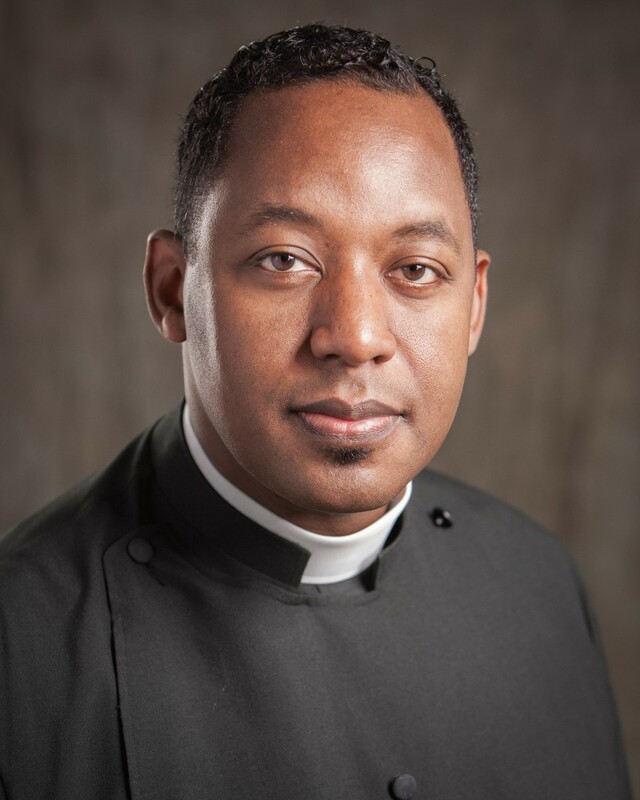 He began to pursue his call to ordained ministry after seven years in the Army and received the Master of Divinity decree from Seabury-Western Theological Seminary in 2004. Fr. Porter was ordained a transitional deacon in the diocese of Upper South Carolina in June 2004 and was ordained a priest in April 2005. Fr. Porter is bi-vocational and continues in the private practice of medicine as well as serving as rector of St. ThomasChurch, Chicago. He has been instructor of medicine at the University of South Carolina School of Medicine as well as the Northwestern University Feinberg School of Medicine and is a Fellow of the AmericanCollege of Physicians. He is an active member of the Omega Psi Phi Fraternity. He is married to his beautiful wife Lisa. They have two children, Fulton Niles and Haleigh Elise. The Porters reside in Flossmoor, Illinois. Fr. Porter has also served as Dean of the Chicago South Deanery in the Episcopal Diocese of Chicago.